Last week of classes! For many college students around the country, the last week of May signals the closing of another year. For Freshman, Sophomores, and Juniors, this time is exciting: summer vacation, going home, seeing old friends, and building up that resume. But for Seniors, this time is terrifying yet exciting. For BU students, this week is more fun than scary due to senior week followed by graduation. Whether you are graduating or just one more year closer, I’m sure you’ll be celebrating. 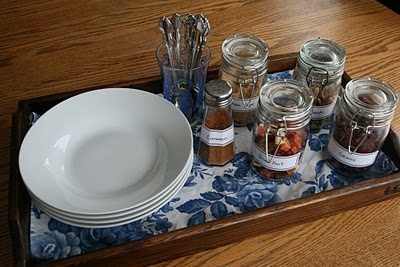 As I was browsing through Pinterest, I came across a link to 16 Party Bar (food station) Ideas. With some easy swaps, these creative ideas can be both impressive and nutritious. I’ve highlighted a few of our favorites below. Check them out before your next end of the year party! 1. Cookie Bar: Sargent Choice got its start with cookies, so you can be assured we have some knock-out recipes! Bake up our rich chocolate chip cherry cookies, heart healthy oatmeal raisin cookies, and (my personal favorite) whole grain peanut butter cookies. 2. 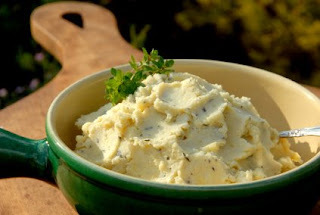 Mashed Potatoes: Start with a lightened recipe, such as Eating Well’s Two-Toned Mashed Potatoes (we recommend subbing plain fat-free greek yogurt in for the sour cream). Then include toppings: scallions, reduced fat shredded cheddar cheese, corn, peas, steamed broccoli, and any spices and seasonings you see fit, like parsley. 3. Cupcake: Rather than just having cupcakes, have a few bite-sized desserts. 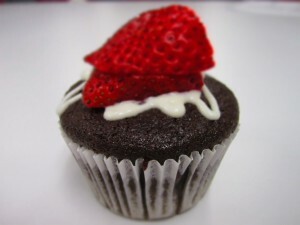 Start with our Sargent Choice Chocolate Cupcakes and Mini Berry Cheesecakes, but leave both plain. 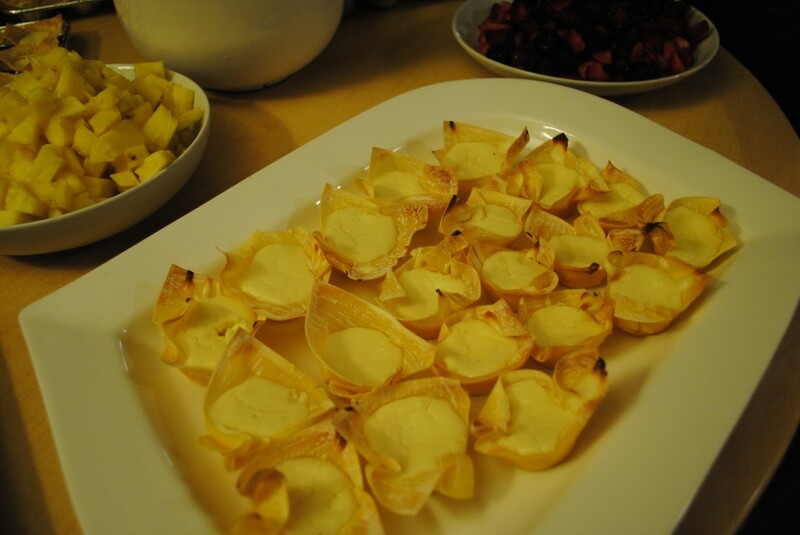 Let each guest choose which fruits to top their dessert with! 4. All White Candy Bar: Rather than a table full of candy, stretch the theme to include all white foods. Healthy options include: Basil Cannellini Spread with cauliflower dippers or brown rice cakes, white-chocolate covered strawberries, yogurt dipped fruit and pretzels, low-fat white cheese with apple slices, and angel food cake bites. Our Mini Berry Cheesecakes would also work well for this theme! 5. Colorful Candy Bar: Again, skip the candy-only idea and aim at having colorful foods. Having a bunch of different fruits and vegetables would be perfect! Add yogurt dips for the fruit and bean dips for the veggies to keep flavors interesting. 6. Oatmeal: Having people over for breakfast? Oatmeal is not only easy and nutritious, it is also budget friendly! Start with a big batch of oatmeal either on the stove or crockpot. The add-ins are what really make this food bar. Here are a few ideas: bananas, peaches, berries, raisins, apple slices, maple syrup, honey, unsweetened coco powder, cinnamon, Greek yogurt, peanut butter, mixed chopped nuts, coconut flakes, fat-free milk, almond milk, and soy milk. Hoping to offer one stellar option? Try our Baked Apple Pie Oatmeal! 7. Cereal: If you went to BU, think back to the containers of cereal in the dining halls that had Sargent Choice stickers. If you can’t remember, basic advice for choosing a healthier cereal is to look for ones with less than 9 grams of sugar/serving and feature 100% whole grains. Cereals that fall under this include: Cheerios, Wheaties, Puffins (original), Total, Shredded Wheat, and Life. Next is the milk. To cater to all your guests’ needs, have skim milk and an alternative such as soy or almond milk. For toppings, include banana slices, diced strawberries, and whole blueberries. Check out our post on Choosing the Right Cereal for more info on what to look for in a cereal. 8. Trail Mix: While packed with nutrient-dense ingredients, a trail mix bar can be a great option if your heading to trails for a hike later that day. The basics you’ll need are a variety of nuts, dried fruit, popcorn (for added crunch), and any extras such as whole wheat pretzels, dry roasted soybeans, sunflower seeds, pumpkin seeds, or mini dark chocolate chips. Don’t forget Ziploc baggies! 9. Pasta: First make a couple batches of whole grain pasta. To make it more fun, try having a couple different shapes of pasta like bow-ties, shells, and penne. Next, pick two or three different sauce options. 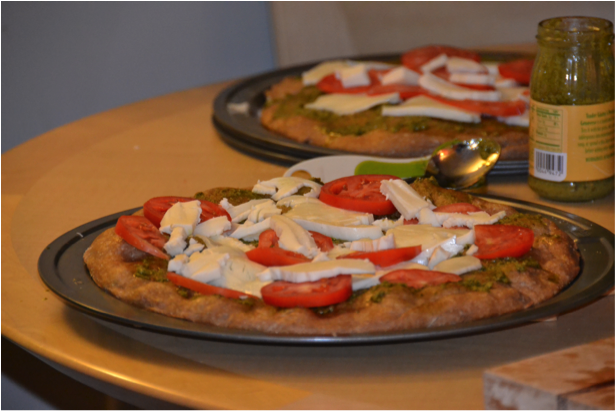 It’s good to have a basic homemade tomato sauce, but from there get creative! Try a healthy spin on Alfredo, go outside the box with an avocado-based sauce, or make your own pesto. Boston Magazine has a list of 6 healthy pasta sauces to get you going. Toppings are all dependent on how much you plan on spending. Don’t forget the protein and filling power from veggies! Offering a sauce with ground turkey breast included, such as in our Southwestern Turkey Bolognese Sauce or by offering grilled chicken, shrimp, veggies, cannellini beans and/or meatballs will leave your guests satisfied. 10. 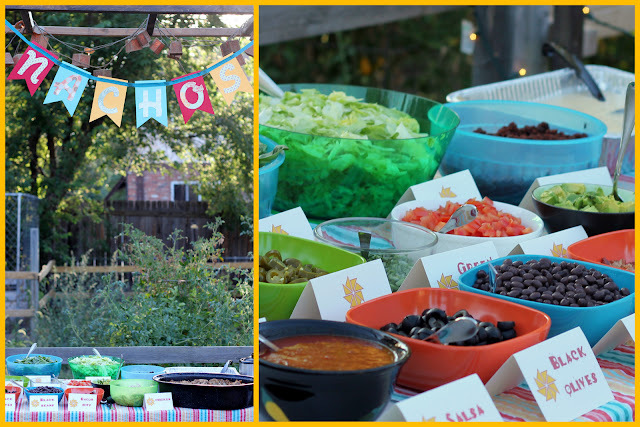 Nacho Bar: Nothing says summer like nachos! Start with a bag of tortilla chips or make your own from scratch. For toppings have options like jalapenos, black beans (drained), plain Greek yogurt, tomatoes, salsa, olives, diced red peppers, avocado, and reduced fat shredded cheese (heated up in a Fondue Pot). Our Southwest Corn & Black Bean Salad matches perfectly with tortillas and allows your guests to fill up on nutrient packed veggies and beans while keeping their portion of chips in check. 12. Yogurt: For a yogurt bar think parfaits. Start with plain fat-free regular style or Greek style yogurt — leave the sugar adding to your guests. To sweeten things up offer honey, maple syrup, berries, peaches, pomegranate seeds, cherries, and bananas. Next add something crunchy: cereal (see list above), nuts, and Sargent Choice granola. 13. Baked Potato: Potatoes are blank canvases, perfect for letting people get creative with flavor combinations. Before the party, bake white and sweet potatoes. For the white potatoes, topping ideas include: plain Greek yogurt, steamed veggies such as broccoli or carrots, low-fat cheese, green onions, beans, salsa, jalapenos, shredded chicken, barbecue sauce, and homemade chili. Sweet potatoes offer even more options since you can go sweet as well as savory: plain Greek yogurt, low-fat feta cheese, shredded chicken, barbecue sauce, homemade chili, roasted and seasoned chickpeas, corn, black beans, avocado, cinnamon, honey,almonds, and walnuts.